2018 marks the 40th anniversary of the introduction of the legendary 375 Yellow Castle. 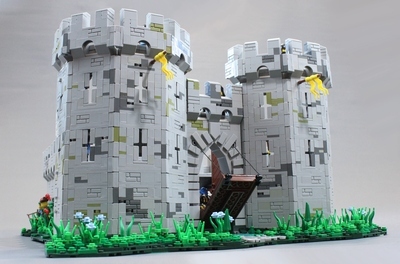 This project commemorates the 40 years of history of the LEGO Castle theme. The five towers each are modelled after the distictive appearance of a LEGO Castle faction from its decade. This is NOT a project that proposes a series of products. This is a single, stand-alone set consisting of five submodels, just like 4002016 consists of six separate train models. It is built of just 521 bricks (including minfigs), so it has a more reasonable brick count than the castle ideas with thousands of bricks. With each tower comes a minifig and a printed (or stickered) tile with the decade and the name of the faction written on it. I've tried to only incorporate brick shapes and colors that are currently in production, which means, among other things, no classic visor for the yellow tower's guard, the old gray colors are replaced with the new bluish gray colors and the yellow tower's windows are backward facing Erling bricks (headlights). The Yellow Submarine had 553 bricks and 5 minifigures. My project has 521 bricks and 5 minifigures, so the price range could be similar to that. It is unlikely for a set to have five different kind of printed shield and five differently printed tile, so the shields and the signs should probably be stickered instead of being printed. "Classic Castle" and "Fantasy Era" are written on two of the signs. 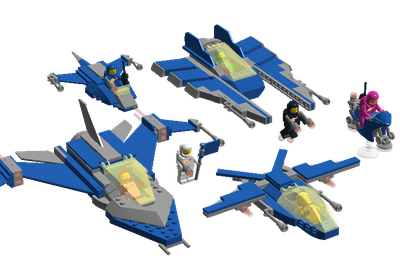 These are unofficial names and the LEGO Group may change them for the official names of these factions. 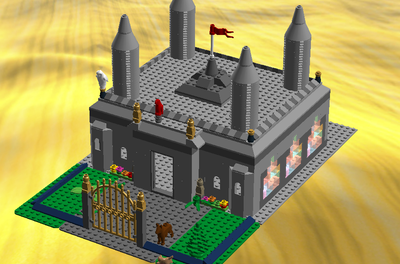 1970s - 375 Yellow Castle: although not being the very first LEGO castle, it marks the beginning of the LEGO Castle theme and considered one of the most iconic sets of LEGO history. 1980s - 6085 Black Monarch's Castle: I know - the rest of the subtheme is from the '90s, but 6085 came out in 1988. I've chosen this castle because I liked its colour scheme more than the all-gray colors of the other castles from the '80s. 1990s - 6090 Royal Knight's Castle: the castle of my childhood! Although the minifigs' design isn't too great in this theme, the castle building itself, in my opinion, is the best LEGO castle ever. 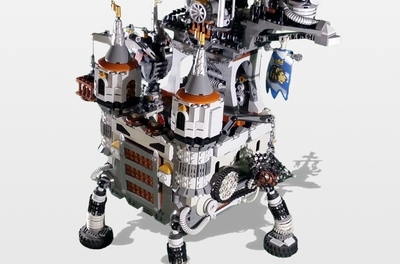 2000s - 7094 King's Castle Siege: the Fantasy Era was a fresh new idea in the LEGO Castle theme. It was the most unique Castle subtheme of the decade. 2010s - 70317 The Fortrex: Nexo Knights is the latest addition to the Castle theme. 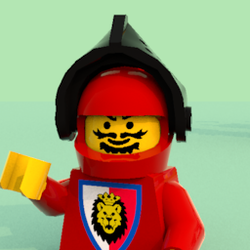 Some may disagree, but in the booklet of 5004419 Classic Knights set the Lego Group made it clear that they consider Nexo Knights part of the Castle theme.